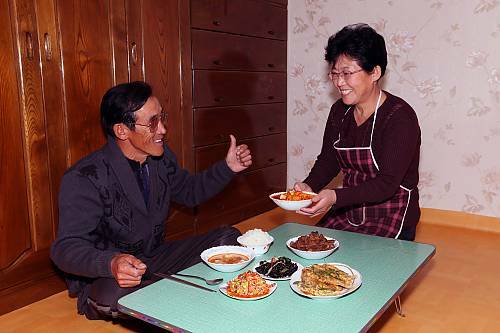 The Kimchi kakdugi made by my wife is the best. 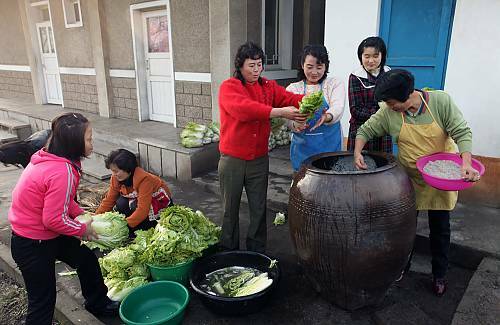 Village women helping each other with making Kimchi. Kimchi contest being organized regularly. 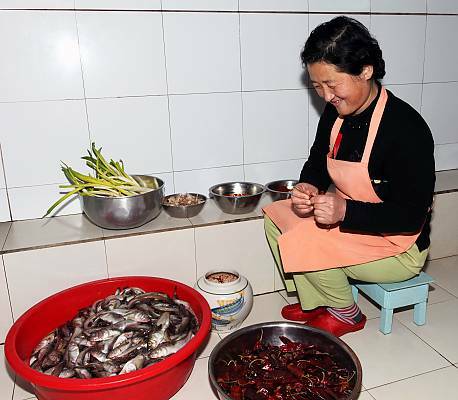 A grand-mother preparing materials for making Kimchi. 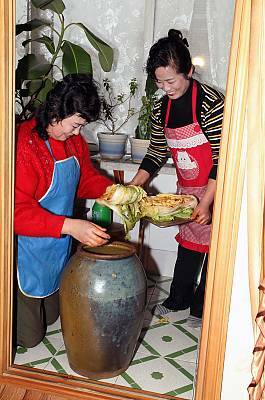 A family pickling cabbage for Kimchi with the help of neighbours. 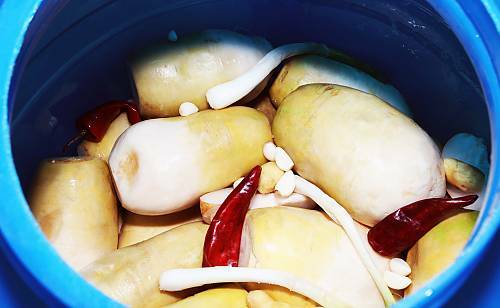 Dongchimi, one sort of Kimchi with unique taste. 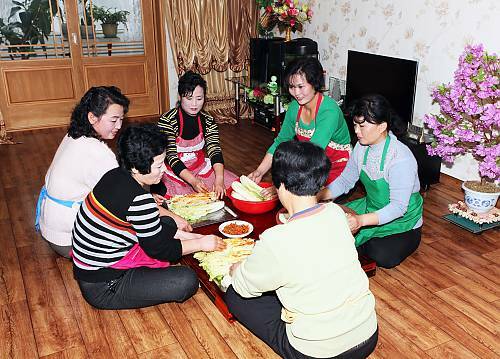 Housewives exchanging their know-how on Kimchi-making. 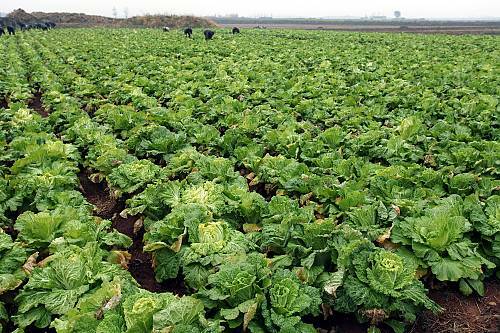 Cabbage field of a vegetable farm responsible for supplying vegetables to city population. 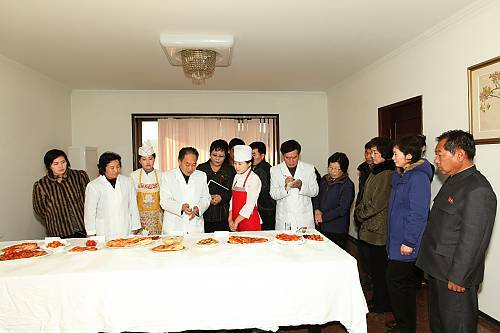 Cooks making Dingchimi, a sort of Kimchi.